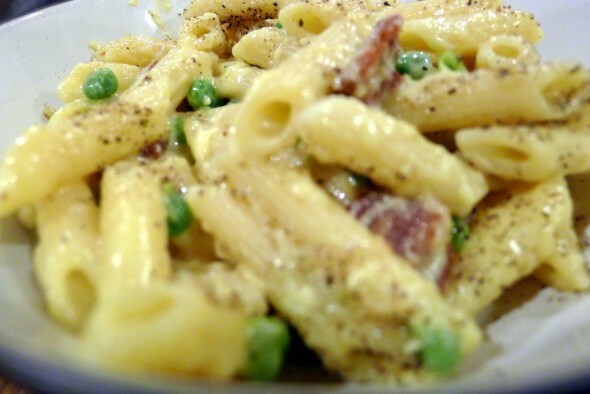 This is by no means a light dinner, but once in a while on a wintry night some gooey mac ‘n cheese indulgence is just perfect. This yielded a lot of lunch leftovers when I made it last week. The original recipe called for deli ham, but I added some crispy bacon instead. 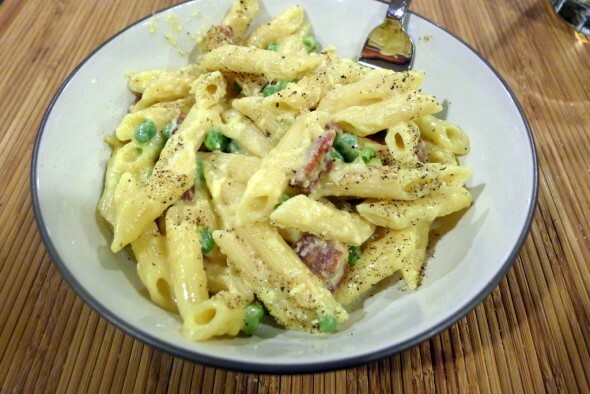 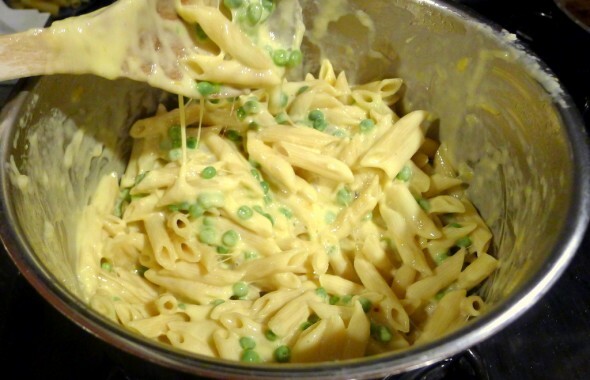 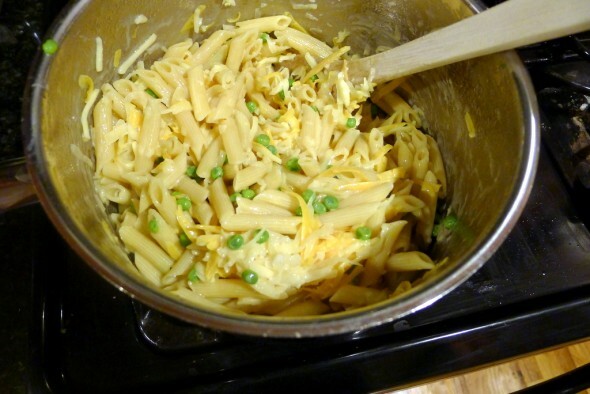 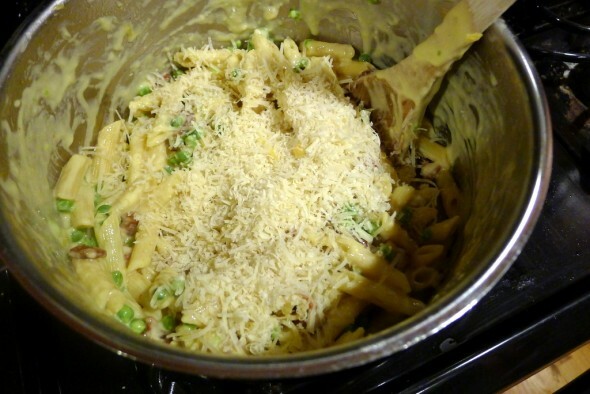 Drain the pasta and peas; wipe the pot dry and return the pasta and peas to the pot. 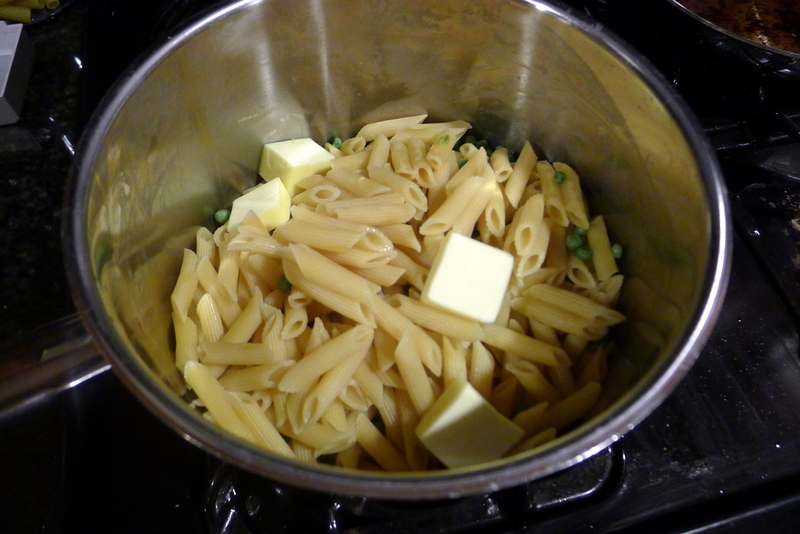 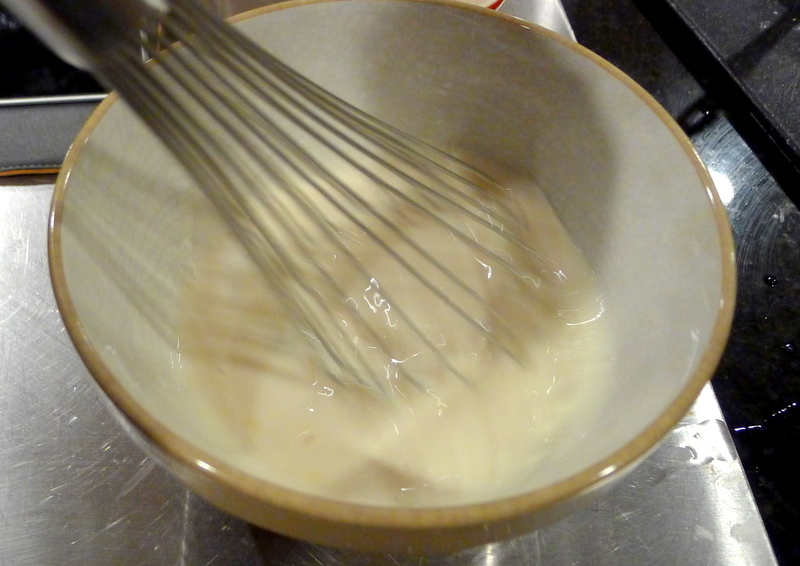 Add the butter and stir to coat. 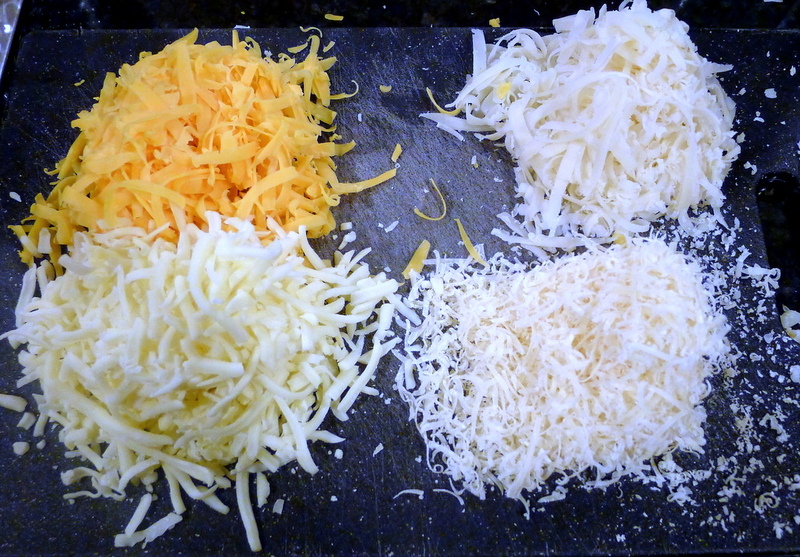 Add the cheddar, mozzarella, fontina and the egg mixture. 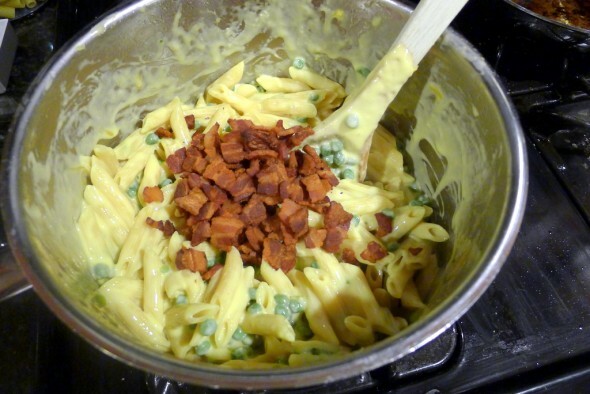 Place the pot over medium-low heat and cook, stirring constantly, until thickened, 8 to 10 minutes, adding the ham (bacon) halfway through cooking (don’t let the mixture boil or the eggs will scramble). Remove the pot from the heat and stir in the parmesan.